Blended and personalized learning practices are often in flux in classrooms, schools, and districts. Practitioners aren’t just trying to learn the latest from peers, but to share and develop the tactics that can make learning more student-centered and equitable. 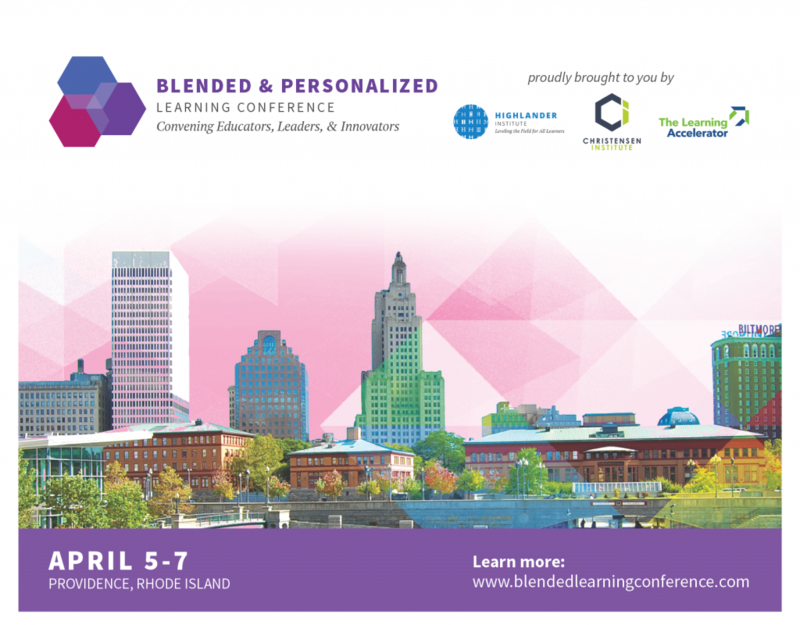 Enter our annual Blended and Personalized Learning Conference in Providence, Rhode Island. This year’s conference offers the opportunity for educators, leaders, and innovators around the country to convene for three days of sharing, networking, and learning—to walk away with blended-learning strategies that are both inspiring and replicable. The Highlander Institute, the Christensen Institute, and The Learning Accelerator have recruited over 50 practitioners to showcase the best classroom, school, and district practices from across the nation at the BPLC18, from Thursday, April 5 to Saturday, April 7. Our conference program includes three strands of information—one for district leaders, one for principals, and one for classroom teachers. Interested in joining us this April? Register to attend at blendedlearningconference.com. But act fast—this conference has sold out in each of the past three years! For additional insights from previous BPLCs, check out From the frontlines: Takeways from the 2016 Blended and Personalized Learning Conference, which includes practical tips from expert implementers for managing change and innovation in schools.